SPINE take time out from their hectic schedule to answer Getintothis’ questions about pre-gig superstitions, quitting social media and getting drunk. 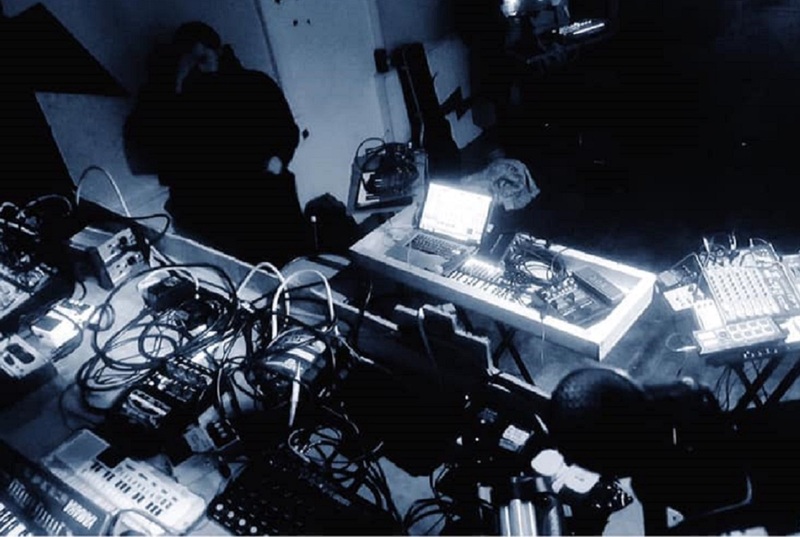 SPINE Is a Liverpool-based event showcasing new experimental music including noise, ambient, industrial, and drone music at Factory Kitchen (Invisible Wind Factory), DROP The Dumbulls, and Sound Basement hosted by members of industrial noise band LONESAW. The event is organised by a group of likeminded individuals in the city who found these genres and their artists were lacking representation and coverage within Liverpool’s music scenes. Since May 2018, SPINE has become a safe place for noise freaks to gather and get weird, try out new ideas, develop as artists and invite internationally recognised acts to perform in Liverpool. Going forward, SPINE plans to expand into a record label, with a compilation tape of SPINE‘s veteran performers finding release later this year. Ahead of all this, Getintothis sit SPINE down and asked them 13 questions. Read on to find out about listening to Merzbow in the bath and releasing cassette albums in 2019. “I’m currently at SPINE HQ with Ben Ford (LONESAW/MAL/SYRINGEHOUSE) planning the next stage of our SPINE event series – our monthly event for experimental music – and LONESAW’s gigging schedule for the upcoming months. We have a lot of exciting events coming up. SPINE #9 is taking place on the 19th April at Factory Kitchen with an eclectic mix of performers from South Korea (Hunjoo Jung), Germany, and the US (ISO), alongside veteran performers from Liverpool (JEZEBEL, Nick Branton). “Very well we think… It can be difficult to gauge progress sometimes when you’re immersed in a project. This time last year, LONESAW were merely happy to be performing to audiences at all never mind hosting our own radio show and event series! What is the last album you listened to? “Nikolas Adoniu’s industrial noise juggernaut WHXRS is a personal favourite. Last year’s Spectrum of Conflict EP is an essential listen for any noise folk in the area, and I’ve been informed a new release is imminent. Similarly, PRISON BEHAVIOUR, the solo project of Mark Greenwood is writing incredible industrial noise pop music – you need to listen to his song Ronnie. you have any pre-gig superstitions? When did you last consider quitting social media? Vinyl, CD, MP3, or Streaming? “You’ve forgotten cassette tapes! For a lot of experimental artists – particularly noise acts – cassette tapes are a valuable format for inexpensively releasing music in a physical format. They’re nice collector’s items for fans too. It’s happening in Liverpool, Pale Master just released M T Hall’s latest release on tape, and we ourselves are planning to release a SPINE compilation tape later this year. When did you last shout at the TV? Who is the nicest ‘celebrity’ you’ve met?